An exceeding number of police departments and law enforcement agencies, whose officers spend upwards of 3-4 hours a day completing incident reports and other time-sensitive paperwork, are turning to smarter tools, such as speech recognition solutions, to help transform their police reporting workflows. Join us to hear why these law enforcement professionals are embracing smarter tools to complete higher-quality reports and move mission-critical information within the CAD/RMS faster and more efficiently – all by voice. 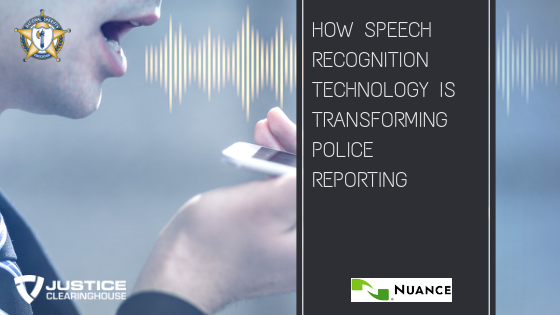 Learn how to make incident reporting faster, safer and more complete by registering for the Speech Recognition Technology is Transforming Police Reporting webinar today.